ISLAMABAD: Tight security arrangements have been made by the capital administration, including the deployment of paramilitary troops in sensitive areas, as the Supreme Court is set to hear a petition seeking review of its October 31, 2018 verdict of acquitting Aasia Bibi, a Christian woman who was sentenced to death in a blasphemy case. In a letter written to the capital chief commissioner’s office, the Islamabad district magistrate sought the deployment of Pakistan Rangers personnel in the city “to avoid any untoward incident” during the hearing of a “sensitive case” on January 29. Qari Salaam filed the review petition in the case on November 1, 2018, at the Lahore Registry of the apex court, urging the SC to reconsider its decision. 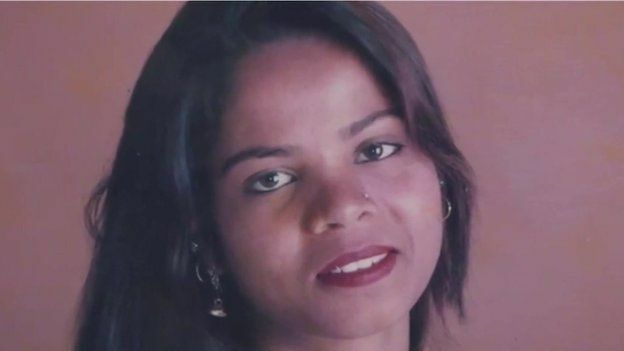 In the petition, it has been argued that the SC’s acquittal of Aasia Bibi did not meet the standards of jurisprudence as well as Islamic provisions and the “normal principle of justice with reference to application in blasphemy laws”. It has also asked whether the SC was bound to take into consideration “the nature of the case” and consider all the technical faults in it — especially the inordinate delay in the filing of the FIR [first information report], the defective investigation — and let them become “a hurdle in the dispensation of justice, in view of the application of blasphemy laws read with judgments of the superior courts”. The case will be heard by a three-member bench headed by then Chief Justice of Pakistan (CJP) Asif Saeed Khosa and comprising Justice Qazi Faez Isa and Justice Mazhar Alam Miankhel on January 29. On October 31, 2018, the apex court had acquitted Aasia Bibi, who was facing a death sentence for blasphemy, and ordered to release her from prison immediately. “The appeal is allowed. She has been acquitted. The judgement of the high court, as well as trial court, is reversed. Her conviction is set aside,” then-CJP Mian Saqib Nisar had said in the ruling. The law enforcement agencies had rounded up around 1,800 individuals by Monday night. The Ministry of Interior had said that the arrested suspects had been booked under the Anti-Terrorism Act (ATA).